Earlier this year, Safaricom launched a new brand philosophy ‘Twaweza’ which means that when people come together great things happen. In the same spirit, the company has also made continuous efforts to bring services closer to the people, and is no longer up there and the people down here as may have been perceived before. Other than having community projects in most of the country, Safaricom has also brought services down to the people, and eliminated the need for customers to go to too much lengths to access services. In short their services are becoming more and more accessible by the day. Remember those days when you had to plan a whole trip to go and have a problem sorted? Back then shops and care centres were few and far between and the queues were legendary. Not the case any more as more shops and care centres are coming up even outside of city centres. 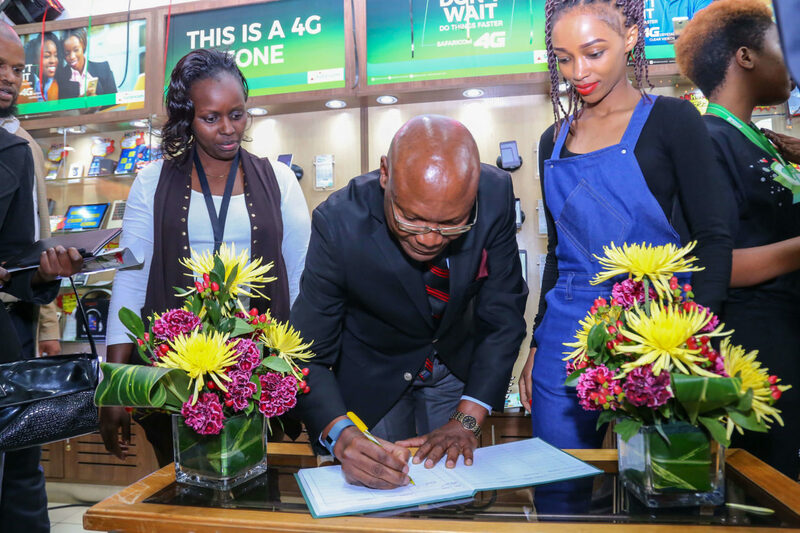 In response to rising demand for gadgets and services around the country, Safaricom has today announced five new shops. Customers from Donholm, Kayole and the greater Eastlands now have a shop at Greenspan Mall while those in Nyandarua, Laikipia West and Samburu Central have one in Nyahururu. CBD customers also get a new shop on Ronald Ngala. For customers whose queries do not require the main shops, Safaricom has also launched eight care desks in Nyahururu, Kinamba, Rumuruti, and Ol-Kalau in Nyandarua and Laikipia Counties, and Donholm, Kayole and Pipeline in Nairobi County. At the same time the Kitui and village market shops have been refurbished and improved. With today’s new developments, Safaricom now has 48 shops across the country. Demand is rising in line with demand for 3G and 4G smartphones, Mpesa services, connectivity and e-commerce to name a few. “Kenyans are embracing an increasingly digital enabled lifestyle driven by growing smartphone uptake, advanced 3G and 4G networks, and smart, connected homes. Our investment in these new Safaricom Shops will go a long way in meeting these emerging customer needs within a fast evolving technology landscape,” said Joseph Ogutu, Director – Strategy, Safaricom.